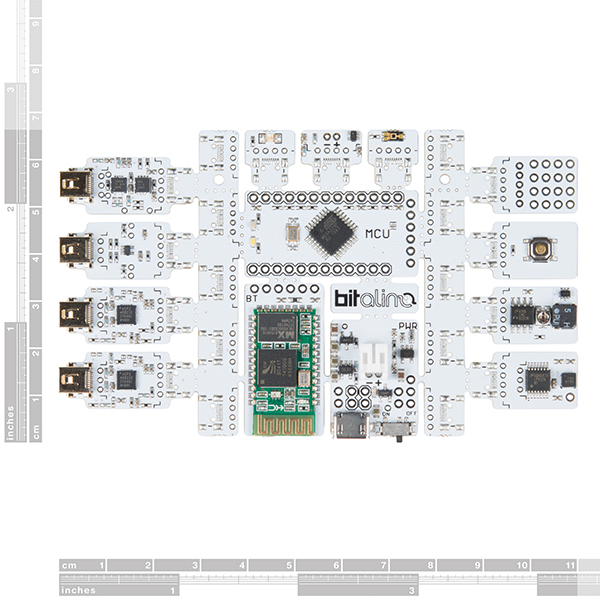 This is the BITalino ( r )evolution Board Kit, a (comparatively) low-cost biomedical data acquisition dev board that allows you to create projects using physiological sensors and tools. 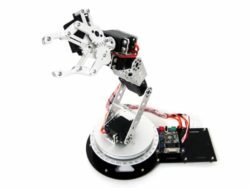 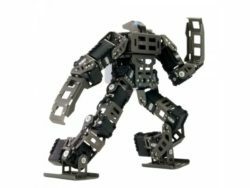 Each BITalino is presented in a “ProtoSnap style,” enabling it to be programmed as a whole board or snapped apart for use in future projects. 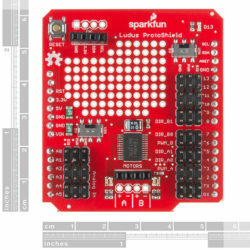 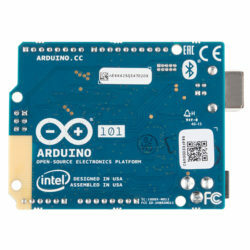 This dev board also has no shortage of programming APIs, which include Arduino, Python, Java, Android, iOS and more. 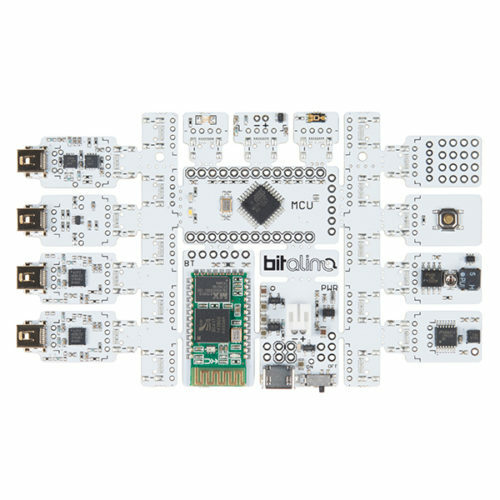 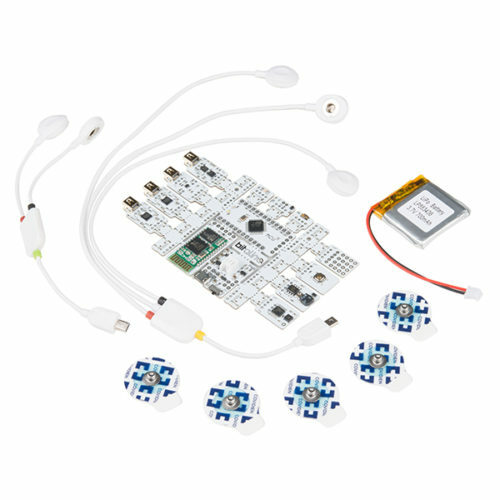 The BITalino is equipped with 14 removable “blocks,” which can be used straight out of the box and include an MCU, Bluetooth, Power, Prototyping, EMG, EDA, ECG, EEG, Accelerometer, LED, Button, Buzzer, DAC and Light Sensor! 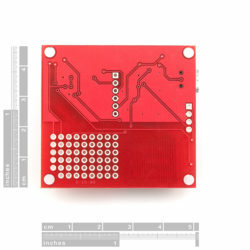 At the heart of this dev board is the tried and true ATMega328 microcontroller, which can be configured with a sampling rate up to 1,000Hz and is capable of supporting six analog inputs (four at 10-bit, two at 6-bit), as well as four digital input and four digital output pins. 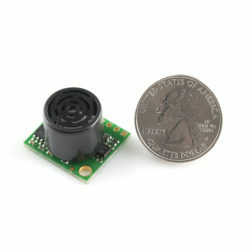 With the attached HC-06 Bluetooth module, triaxial MEMS accelerometer and physiological sensor inputs, you will find it difficult to run out of ideas for projects. 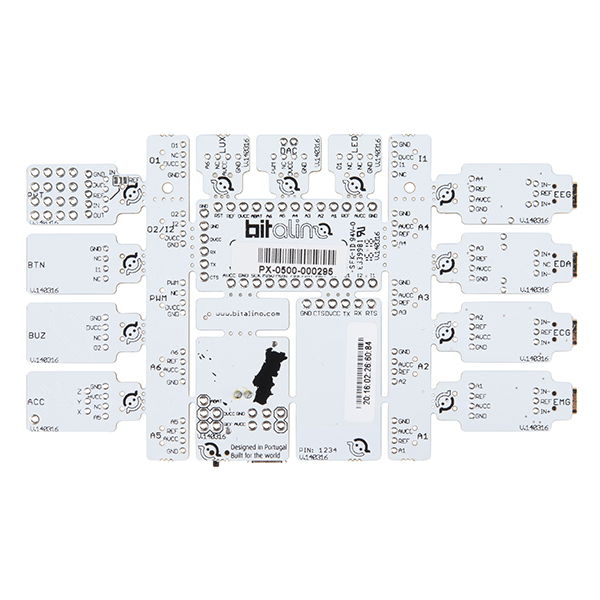 In the Documents section below you will will find a link for OpenSignals, software that empowers your BITalino. 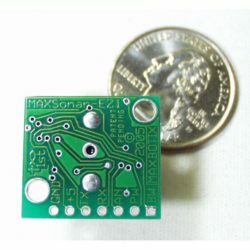 OpenSignals allows you to play back your previously recorded sessions and zoom in and out of specific periods, plug in architecture available for future optional add-ons to help you analyze your signals, customize transfer function definitions and more. Note: The BITalino only communicates via Bluetooth with your computer.